Explore how the military prepared you for a career in the Auto industry. What is the Auto Industry Really? 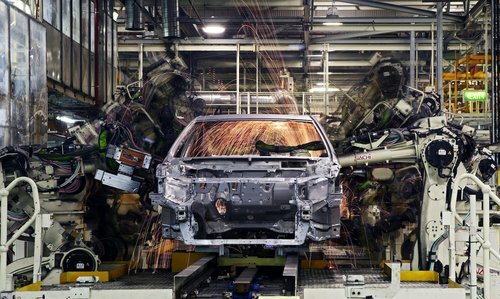 The United States’ Auto industry plays a significant role in the nation’s economic growth as well as the global marketplace through manufacturing, wholesale trade, retail trade, and repair and maintenance. Between automakers and their suppliers, no other manufacturing sector creates as many jobs. Over 8 million private sector jobs are impacted by the United States’ Auto industry, and the industry itself employs nearly 2 million people directly. Outside of the industry itself, an estimated 4 million U.S. jobs depend on a strong and stable Auto industry. Without this important sector, American manufacturing would quickly deplete since it drives 11.5% of manufacturing’s contribution to the gross domestic product (GDP). Because so much depends on the Auto industry, its leading employers need great military talent to ensure its success. Importantly, there are many similarities between the military and the Auto industry, so the transition makes sense for many exiting service to put their existing skills to use in a civilian career. The Auto industry has jobs across many different fields, so there is a great chance that your military speciality or previous work experience can give you a sizable headstart on industry-based training. For example, if you were a military technician you are already an expert in military vehicle maintenance and repair. Or you may have been a military instructors, which means you develop communication skills that serve well in leadership positions throughout the Auto industry. To learn about how you can translate your specific skills to the industry, click "Leaders" below to talk with industry leading employers. Scroll below to learn more about just a few of the career paths the Auto industry provides to veterans, members of the Guard and Reserve, transitioning service members and military families. Click on each job title for more details. Automotive technicians, sometimes called mechanics or service technicians, diagnose, adjust, repair, or overhaul automotive vehicles. 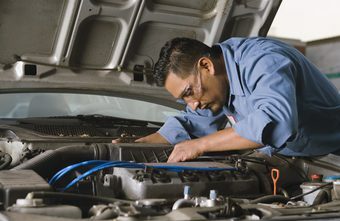 Because the automotive industry is becoming increasingly reliant on computer technology to power vehicle systems, automotive technicians who have an associate degree related to automobile repair may have an edge when looking for jobs. Salespeople must have exceptional customer service and communication skills to handle all walk-in guests who have questions about automobiles for sale as well as the company as a whole. Salespeople represent the industry’s products and help consumers purchase or lease the automobiles they need.